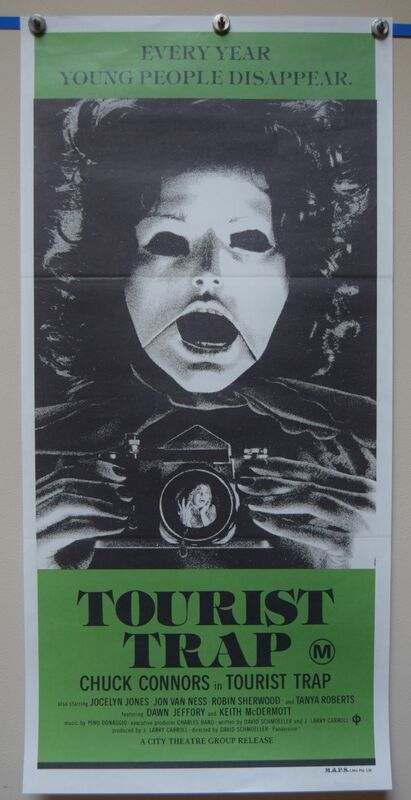 Tourist Trap (Charles Band Productions,1979) Australian Daybill Size 13.5" x 28"
Scarce daybill for the slasher film Tourist Trap starring Chuck Connors, Jocelyn Jones and Jon Van Ness. 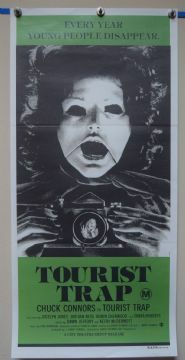 The poster displays incredibly well. Fine.